The better you get, the more important it is to improve, says Mr Loadlink in his final blog of Straightpoint’s latest financial year. The need to improve doesn’t change with success. Can you imagine Sir Alex Ferguson arriving at training during his reign as Manchester United manager and saying, “That’s it boys, we’re done improving, let’s concentrate on staying as good as we are”? Other great sporting and business leaders agree that the best time to improve is when a team is at the peak of its success. That may sound oxymoronic but consider the determination and wholesale buy-in to good practice and systems that run through a successful team. Success breeds energy and hunger for more silverware—or sales. 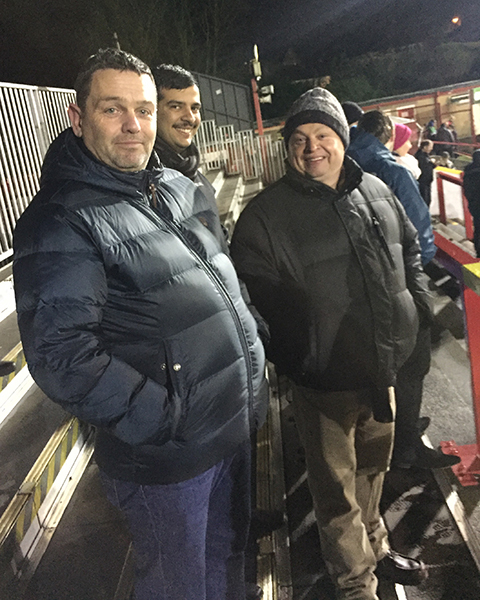 Roshan and I among the Pompey faithful at Accrington Stanley, as we defeated the Lancashire side 3-1. I hope Paul Cook, the manager of my football team, Portsmouth, is demanding constant improvement from his charges at our Wellington Sports Ground training facility this week as we pursue League One status via promotion this season. The better Pompey (our nickname) do, the more it’s apparent how continued improvement is vital. People challenge success and the consequences of failure become greater. Every defeat damages our chances of promotion. For the teams languishing in mid-table, the price of immediate failure is less. 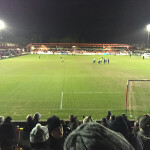 Roshan Divakaran, design engineer, and I were certainly looking at ways Portsmouth can further improve in the run-in, despite watching them defeat promotion rivals Accrington Stanley 3-1 at their Crown Ground in deepest Lancashire earlier this month. Three first-half strikes did for the home side that night. 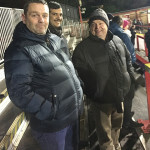 We noted that a visit to the Sira Certification Service, an independent certification body, coincided with the match and as Roshan and I were in the north and on the road already, the opportunity for him to take in his first away game was too good to turn down. He worked in close collaboration with Sira on development of our ATEX and IECEx Radiolink Plus. 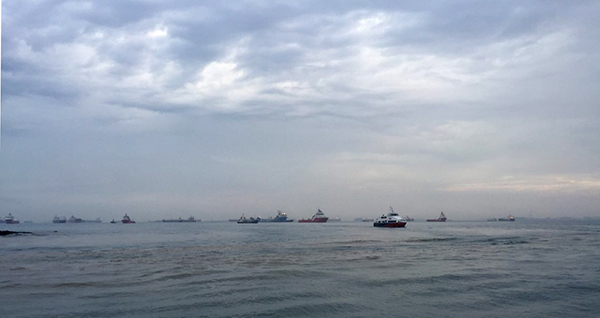 It’s worth repeating that meeting Zone 0 classification (an area in which an explosive gas atmosphere is present continuously or for long periods) is unprecedented in wireless below-the-hook force measurement technology. Furthermore, we also provide the technology to Zone 1 and 2 classifications to suit varied hazard levels. But this blog is really about improvement and moving forward. The purpose of our latest trip to Sira was to advance plans to launch ATEX and IECEx versions of our wireless load shackles, loadpins and compression load cells, which will become part of our expanding hazardous area range of equipment. More on that another time. Roshan has improved himself since joining us. At the time he was a Manchester City fan but even by his own admission, he’s now 80% Pompey. Only another 20% and he’ll be stitching the star and crescent crest to his overalls! Despite our continued and rapid growth, I demand constant improvement of the whole Straightpoint machine and, more importantly, the individuals within it. They are, after all, the most important components of the engine. That’s not to say they’re not giving 100%—they are—but their all can be greater if we analyse and tweak our operation. That was the focus of recent sessions with Action Coach where we looked into our stock control, inventory control, lead conversion and systemisation, for example. Dave Mullard, business development manager, made some good observations during an exchange about our sales processes and I look forward to implementing those improvements as our new financial year gets underway on April 1. A sense of perspective is important to continued, effective improvement and often that comes from positivity. When referencing a winning team or a successful business, it’s important to acknowledge that one is seeking to improve a good thing, not a bad one. 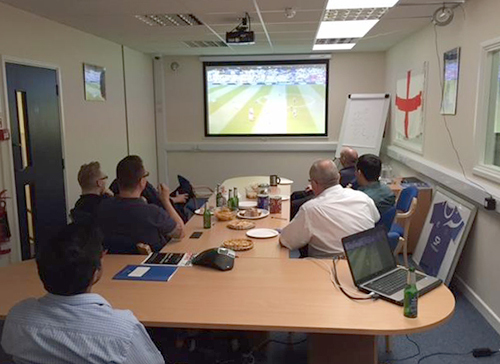 At our monthly sales meetings, for example, we specifically focus on our recent victories and strike an upbeat tone. When Portsmouth romped to a 4-0 victory over Notts County on Good Friday—I was at Fratton Park again—boss Paul Cook would have focussed on the overwhelming positives, I’m sure. 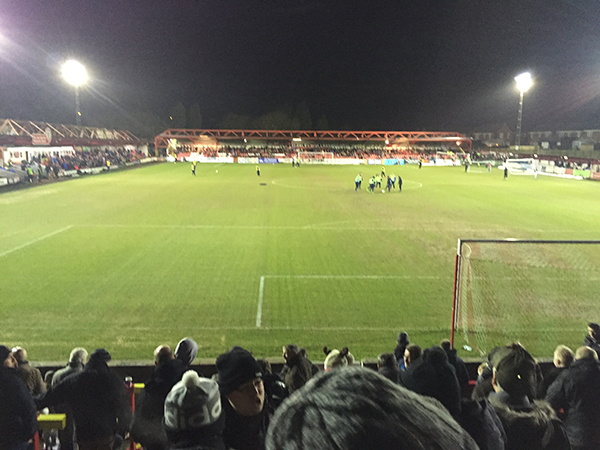 Unfortunately, our Easter Monday visit to AFC Wimbledon was postponed due to a waterlogged pitch. A chance to improve on the training ground, perhaps. Pivotal to improvement at Straightpoint is our distributor network. 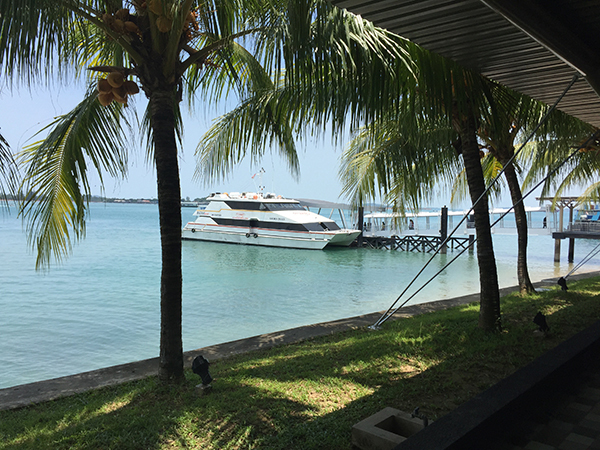 At the mid-point of March I flew out to Batam in Indonesia, where a successful visit to PT Rigspek Perkasa resulted in their appointment as a distributor in Southeast Asia and Oceania. I am confident that Jannes Sibuea, managing director; Alexander Silalahi, business development manager; and the team can continue to raise our profile in the geography. 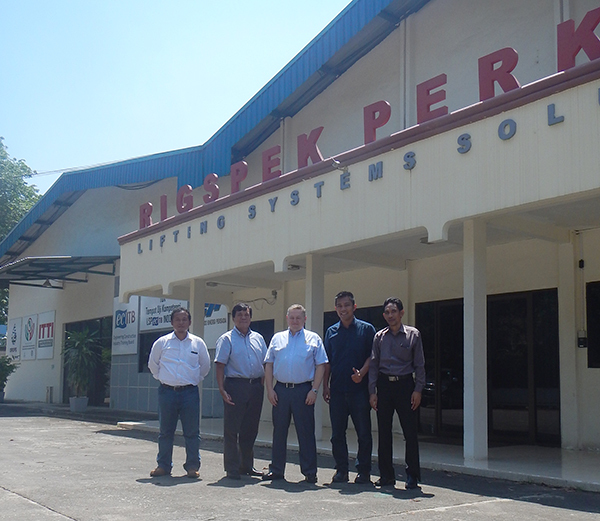 Batam in Indonesia, where a successful visit to PT Rigspek Perkasa resulted in their appointment as a distributor. Here I am with PT Rigspek Perkasa’s Darwin Ginting, Jannes Sibuea, Alexander Silalahi and Abunawas. It was interesting to hear Alexander talk positively about government investment in the infrastructure and power sectors in the coming years. Rigspek are also part of the Carl Stahl Group, who we do a lot of work with so there is a good synergy with other elements of our operation. I know they plan to implement our equipment in load testing applications with water bags—another commonality with global applications. 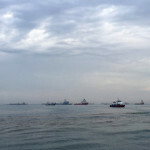 Port development in the region is also exciting. Just as it’s important to cultivate new contacts, maintaining relationships and collaborations that have secured earlier wins and success stories is aligned with improvement. 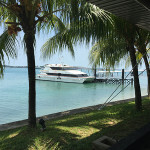 To that end, I flew from Batam to Labuan, a territory of Malaysia off the coast of Borneo in East Malaysia, where I visited Anthony Ho at Leyden Engineering Services. Leyden has been a loyal distributor for the best part of two decades. 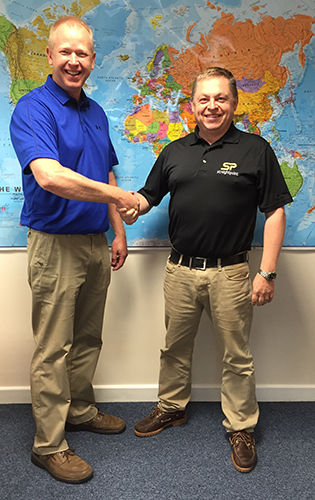 Anthony and his team have visited Hampshire, UK headquarters but it was my first visit to their facility, where we discussed the 2016 catalogue and he led a tour of his fascinating facility. It was also opportune to enjoy a fabulous seafood dinner or two. The shrimp, scallops and other steamed fish was as good as I’ve tasted. Improvement comes in the shape of research and development too. Perhaps R&D even epitomises it. Our ATEX and IECEx versions of our wireless load shackles aren’t the only new products in the pipeline. In fact, they’re a long way down the road to the pages of the catalogue, hence our recent visit to Sira. Further away are a series of other products that we’ve been site-testing this month ahead of 2017 launches. Roshan; Sarath Chandran, project engineer; and Alfie Lee, operations manager, have all been involved. Tests didn’t always go to plan but that’s a natural part of the process. I’d advise any companies during the R&D phase of product development not to be discouraged by the challenges that are encountered. Often, if a product has got as far site-tests, it’s a great idea and one worth persevering with. Even if a concept has to be shelved or returned to the drawing board, remember the value of the process and stay positive. At the time of writing, a delegation from heavy lift specialist ALE visited this morning from Spain to gather intelligence about our 300t+ compression load cells and centre of gravity software. There’s always too many visits and meetings to mention them all (Bridger Howes and Rapid Response Solutions were present at other notable networking sessions), so that brings to a close another blog and uplifting financial year as Mr Loadlink. A certificate was presented to all ALE staff that visited and completed training. Let’s keep improving. And Play Up Pompey!